For storage and style, this Montana floating wall shelf gives you an aesthetic and unique addition to your house. 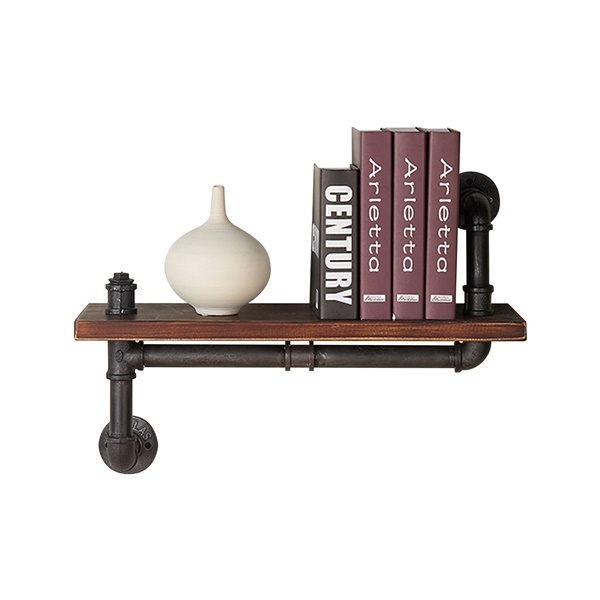 This shelf is built of pine wood and is accented with a frame of metal pipe. This shelf�s fame is coated in a finish of dark grey and its wooden surface has a look of walnut. What a great way that you can add rustic appeal to your home!